Here at Meat No Veg we are always looking for great web sites to be inspired by, learn from, but most of all enjoy the world of quality, natural, ethically produced meat. Below are some of the sites we love and why. 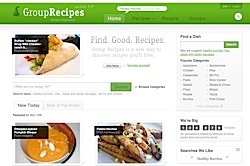 Group recipes is a large site with most of the content individually supplied. Search via ingredients, meal type, flavours, images etc. 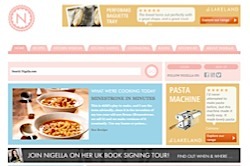 You can even add your own favourite recipe. All recipes has over 40,000 recipes along with other food stuff, like recipe videos, nutritional content, user rating and meal accompaniment tool, guides to healthy eating etc. 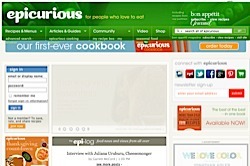 Epicurious has many different types of recipes, with an iPhone app to create shopping lists from recipes. 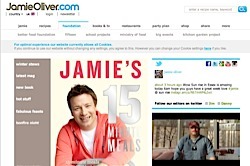 Jamie Oliver is an Essex boy just like Oliver, our Essex boy who is behind Meat No Veg. 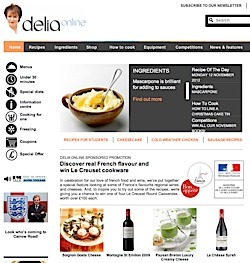 Delia Smith, you can’t go wrong with solid advice from Delia, a bit like Mum's. Hugh Fearnley-Whittingstall is known for his commitment to ethically produced food and has earned a huge following through River Cottage. Meat No Veg believe in ethically sourced meat so we think we have something in common. Nigella Lawson is a food writer, journalist and broadcaster. She is neither a trained chef nor cook, but has got a real natural talent and a distinctly relaxed approach to her cooking that we love. 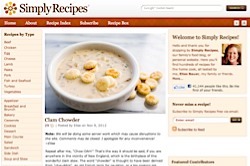 Simply Recipes recipe-based family food blog. The recipes have been tested by either the blogger, who is a home cook or her family/friends. Fine recipes by ingredients, meal course and even diet types. Loads of subscribers can’t be wrong. If you have a site that you think reflects our values of ethically sourced, premium quality meat then please contact us.